We are proud to present to you here some of the projects we are currently operating. Read along about how we run our businesses and manage the operations of international brands. Freddy is an Italian sports and fashion brand found in 1976. Freddy has a full collection of sport- and loungewear for women, men and children. Nowadays Freddy is most well-known for their patented WR.UP® technology, which has changed the whole woman’s clothing industry. SB Ecommerce handles all wholesale, online and social media marketing of the brand in Finland, Germany, Austria and the Baltic and is the official ecommerce seller in these countries through the webstore www.freddystore.fi and www.freddywear.de. Warehousing, shipments and customer service are managed at our business premises in Lahti and Staufenberg. CLUSE is a designer womens watch brand originating from the Netherlands. Simplistic and elegant watches come in many colors and designs at an affordable price, which has made it a recognized brand all over Europe, with retailers in the thousands. CLUSE is imported and all online (www.clusestore.fi) and retail sales in Finland are handled by SB Ecommerce. SBE also manages all marketing of the brand in Finland. Warehousing, shipments and customer service are managed at our business premises in Lahti and the watches are already found in over 70 retail stores all over the country. Sinooperi is an over 30 years old Finnish arts & crafts company. The brand is a household name and a synonym for crafting products with seven brand stores in the biggest Finnish cities. In 2014, Sinooperi’s management made the strategic decision to get into the online game. SB Ecommerce was chosen to help make the transition in the organization from a traditional retail company with roots deep in traditional media marketing, to a modern mix of online and offline symbiosis. This long-term project will include reshaping the business by opening an online store integrated with the companys current systems and renewing the online marketing plan to complement the overall strategy of the company. 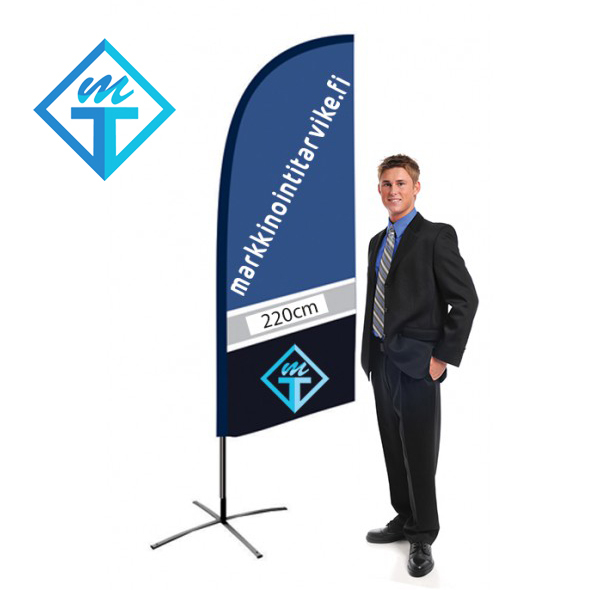 Markkinointitarvike.fi offers a wide range of quality print and advertisement products for B2B customers to use in stores and different promotional events. Markkinointitarvike.fi is well-known for the cheapest prices on the market and for it’s good customer service. Markkinointitarvike.fi is SB Ecommerce’s own business unit. The sales and marketing are handled in-house as always and the operative team is located at our offices in Lahti, near all major cities and customer locations. Warehousing and shipments are handled at our partner warehouse facilities in Oulu. Our main goal with Markkinointitarvike is to become the biggest print and advertisement products online provider on the Finnish market by 2018. Gorilla Sports was found in Germany in 2005 with one simple goal: to provide professional quality gym equipment at prices anyone can afford. To date, Gorilla Sports is operating in over 10 european countries and its product sortiment is increasing and expanding continuously. Gorilla Sports wanted to expand to Finland and the Baltic in 2012 and sought for a local partner to handle the operations. The brand has now established it’s position in Finland and the webstore www.gorillasports.fi is known as the go to place for sports equipment. The business of Gorilla Sports in Finland and the Baltic is handled by Preeco Trading Oy, a collaboration partner of SB Ecommerce. SBE supports the online and social marketing activities of Gorilla Sports. Www.preeco.fi is the Finnish online store of Preeco Trading Oy, a Finnish online retail company found in 2009. Preeco offers a wide arrangement of products varying from garden furniture and green houses to children’s strollers and pet supplies. The goal of Preeco is to offer the most affordable prices on a vast variety of product categories in Finland. Preeco Trading is located in Oulu with business premises consisting of a warehouse and offices. As a collaboration partner of SB Ecommerce, SBE supports the online and social marketing activities of Preeco. Found in 1950, Rukka is a household name as a brand for durable sporting and outdoor clothing and rainwear. Rukka’s classic rainjackets and clothes have been a familiar sight in the Finnish outdoors for decades, and as a part of the Europe-wide fashion company L-Fashion Group, are sold all around Europe as well. In 2015, L-Fashion Group chose SB Ecommerce to handle the online sales and marketing of Rukka rainwear in Finland. The webstore www.rukkasadevaatteet.fi, all social media channels and online marketing of Rukka rainwear are handled by SB Ecommerce.